Where do your blood donations go? What happy endings do you help provide every time you give the gift of life? Following are just a few of those who partly owe their lives to your generosity, your kind heart, your goodness in coming forward to anonymously give the greatest of gifts to someone you’ll likely never know or meet. After learning Lexi had a heart disease, she needed a heart transplant. Despite complications, Lexi fought hard to make it through each day. Thanks to LifeStream donors, Lexi received the blood she needed. Julie was one of the three dozen victims of the terrorist attack at the Inland Regional Center in San Bernardino on December 2, 2015. Eventually, Julie was stabilized, and survived. Thanks to first responders, skilled medical professionals, and LifeStream blood donors. Ten-year-old Adrian was struck by debris when a car crashed through the school fence as he played at recess. The injuries to Adrian’s right leg were so grave that amputation was necessary. At just 5 months, Paisley received a heart transplant. Paisley needed many transfusions while the search was on for a compatible heart. In all, “Baby Paisley” required 41 units of blood. Hannah had two strikes against her at birth. Born with a defective heart, doctors knew the infant would require a heart transplant – and minutes, days counted. At 11 days, the Grinnan family received the news a compatible heart had been found. Hannah received her new heart. Pinned inside her vehicle that was lodged in a ditch, Michelle Arguelles silently prayed that fate would soon take a kinder turn. A few minutes later and a several miles away, Michelle’s sister, Lezlie Avila, was among LifeStream staff receiving the call from a local hospital for an emergency shipment of blood. Shortly after birth, Alex’s immediate future was in doubt. Something was wrong. Alex’s heart wasn’t working properly. At just 3 months of age, he required heart surgery. Over the next several weeks, little Alex required three more surgeries. In 1994, Capt. Pete Lawson of the San Bernardino County Fire Department suffered serious burns while battling a bottomland fire. “I’ll do whatever I can to promote blood donation and LifeStream,” he says. At 8-years-old Keely lost her balance while on a ski lift and fell approximately 30 feet. She suffered life-threatening internal injuries. During her treatment and surgeries, Keely received 30 units of blood. Cassey Cinqmars Fisher and daughter Allie are living the reality of blood donation. Young Allie, was diagnosed with aplastic anemia at 5 years of age. Now an adolescent, Allie’s weakened immune system continues to be a part of her daily life. Blood transfusions, available only through the generosity of volunteer donors, are the prescription for care. In February 2013, Deputy Collins was shot down as he and fellow officers closed in on an armed murder suspect in the mountains of San Bernardino County. During his recover, Deputy Collins required extensive care for facial, arm and leg wounds. Even after surviving the initial trauma, Deputy Collins needed two dozen follow-up surgeries. 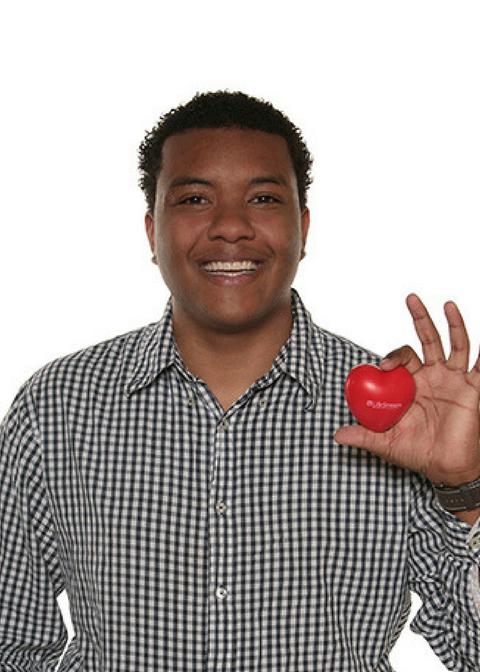 On Sept. 1, 2011, Charon suffered a sickle cell crisis and twice went into cardiac arrest. He suffered simultaneous multiple organ failure; at one point doctors gave him a 10 percent chance of survival.